You are invited to the Ridgefield Art Association sponsored Bruce Crockett Memorial Quick Draw Friday, May 5th, at the Ridgefield Community Center, 210 Main Ave.
You will be able to watch eight artists create original artworks while you enjoy food, beverages and live music. A caricature artist will draw portraits, and there will be interactive art and both live and silent auctions. 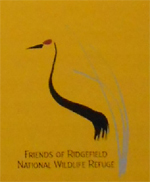 A portion of the proceeds benefit the Ridgefield High School Art Department. You may buy tickets from any Ridgefield Art Association members, or call Patricia at: 360-931-9573. You may also email the Ridgefield Art Association at: ridgefieldartists@live.com to purchase tickets. This is going to be a great opportunity to see artists in action and get to know your Ridgefield neighbors. Newcomers to town are especially welcome.